Muskara Travel can organize convenient and affordable transfers to and from airports in Cappadocia. We offer both regular shuttle bus services as well as private transfers directly to your hotel. Upon arrival at the airport exit gate, you will be greeted by our driver holding a sign with your name. A great way to get right off the beaten track! 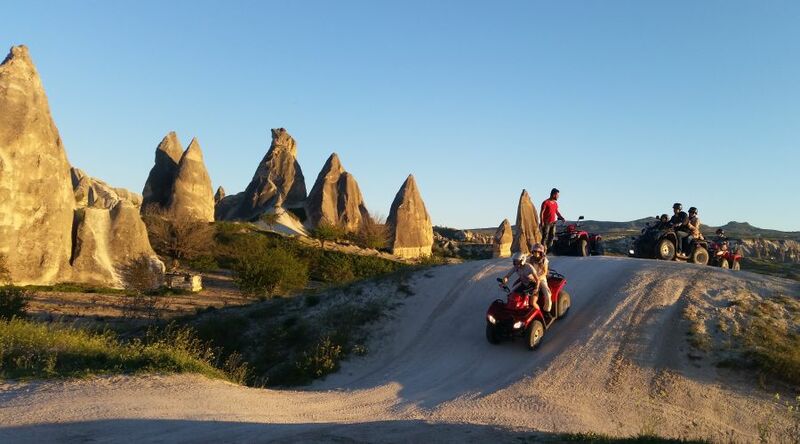 Take a half or full-day guided tour through the most beautiful of Cappadocia’s spectacular rock-cut valleys on a sturdy ATV (quad) bike. The Turkish bath, also know as hamam or hammam, is one of the ancient world’s most widely exported customs. The tradition of the Turkish bath was born generations ago, adopted from Romans and Byzantines and then perfected by the Seljuk and Ottoman Turks and has continued even until today. Our horse riding tours start and finish at the horse farm in Goreme. Transfer of our guests from/to the horse farm in Goreme is provided by service vehicles. Training is available for the inexperienced by the farm if required. The duration of riding and our riding tours varies and is tailored for each group. Welcome to the world of "Muskara Travel Agency", a leading online travel agency in Turkey. A Destination Management Company we are one of key travel agents in Turkey that brings tours of "Incredible Turkey ", the country that has mystified the world for centuries. Your tour to Turkey, a colorfully diverse country, will enchant you with the beauty of its monuments, mountains & deserts. These tours to Turkey will enrich you with its culture, heritage, wildlife, flora & fauna, folklore, festivals, spirituality, philosophy and at the same time surprise you with its modernity. Turkey tours & travel packages also offers the welcoming smile of hospitable people who make it a must experience destination.